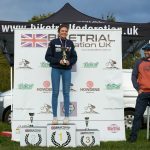 The final round of the British National Trials Cup (rnd5) took place at Shipley Glen on the 8th October and was supported by its biggest entry of the year with a total of 39 riders starting the event! 6 sections were set out on Saturday in mixed conditions but the forecast for Sunday was to be dry and it proved so, fortunately! 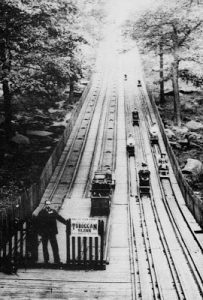 Sections 1, 2 and 3 were set at the top of the Glen on the rocks with 4, 5 and 6 in the wood. 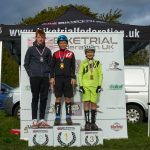 In true national style it proved to be a good test to most riders with the exception of 2 riders in complete opposite classes!, Jack Carthy in Elite (guest rider) and Primary Champion Finn Johnstone both going ‘Clean’ all day some achievement. Runner up to Finn was Oliver Cooper on 3 marks with Harry Adamson a further 4 behind that. 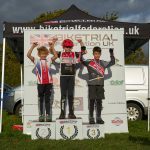 In the Novice category it was the usual 3 battling it out again with Bailey Dacker taking the win and the championship with 1 penalty, Samuel Meeten second on 11 and Max Ward 3rd with 18 and rounding off the championship in this order. 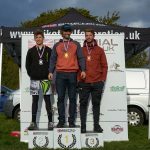 Novice Senior was won by 14 marks on the day by Jamie Smith but that was not enough to affect Carl Weightman taking the championship overall, second on the day on 25. The closest battle all year was in the Intermediate class with positions changing hands round by round. 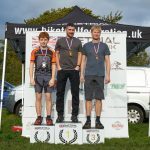 Newly crowned WBC champion Oliver Weightman took his first National Cup win of the year and finished second in the championship with Adam Biggins 2nd on the day which was enough to give him the overall championship but only by a single mark. 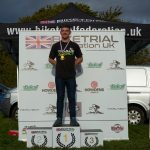 Josh McParland was leading the championship going in to the last round and looked to be on course to secure it until a crash on section 2 followed by another 5 on section 1 put an end to his challenge and gave him 3rd on the day and 3rd overall. The Intermediate Senior Class saw another year long battle between Stuart Robertson and Daniel White but it was Gordon Dunsmore who would take the win on the day with a total of 32 compared to Daniel’s 45 and Stuart’s 48 but 3rd was enough for Stuart to be crowned Champion, Daniel 2nd and Gordon 3rd. Paul Grange was the only competitor in Cadet this year and so took the overall without challenge. A tough day in the Expert Class saw the win go to Sam Shepherd on 60 with Ross McArthur in second on 67 and Aldis Blacker in third on 86. 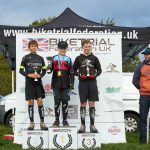 The Championship was won by Reece Seymour, Sam 2nd and Aldis 3rd. 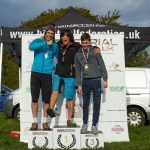 Having secured the Expert Class Championship at the penultimate round Reece Seymour chose to ride in the Expert Senior Class for the last round and wasn’t too far away on the tough sections that lay await, Andrew Chai took the win on the day with Antonio Souza 2nd with these two finishing the championship in that order and Andy Ford 3rd having competed in the first round only. Finally our Elite Class. 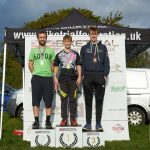 We were delighted to have Jack Carthy riding the final National of the year, (non competitive) Jack made the sections look easy which they were not and duly cleaned the entire course and was the first to finish the trial!!!. Back to the competitive end and it was Andrei Burton who won 24 marks ahead of Charlie Rolls in second close behind was Owen Gawthorpe on 62 with Adam Morewood rounding out the class for the day on 64. 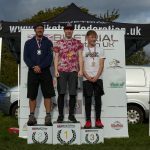 For the second year running Andrei Burton was crowned British National Elite Champion with Owen Gawthorpe 2nd and Charlie Rolls 3rd in his first year in the Elite class along with another Elite newcomer Adam Morewood 4th. Well done to everyone who has competed in this years Nationals, 63 in total! We thank you for your support and hope to see you all at every event next year. Thank you to Jack an Mick Carthy for helping tape out the sections and Barry Gawthorpe for checking and verifying them. Thank you to everyone who helped on the day! Last but by no means least a big thank you to our special friend and guest photographer Jesper Lykke who came to visit friends and to see what we get up to at our British Events. Jesper has first hand experience of trials from all over the world so it will be interesting to here his thoughts on our efforts!.